Russell Wilson gave the Seattle Seahawks an April 15th deadline to give him a historic contract! Well that deadline is ticking away being it is Monday April 15th and half the day is gone. 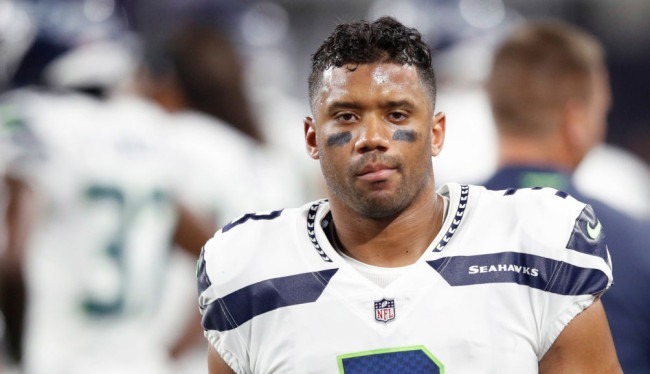 People close to the situation tell us that Russell has demanded the Seahawks trade him to the New York Giants. Russell is planning a career in TV similar to NFL legend Michael Strahan who also played for the Giants. Russell also wants to help his wife Ciara who is a music superstar be in a better market for her work as well. 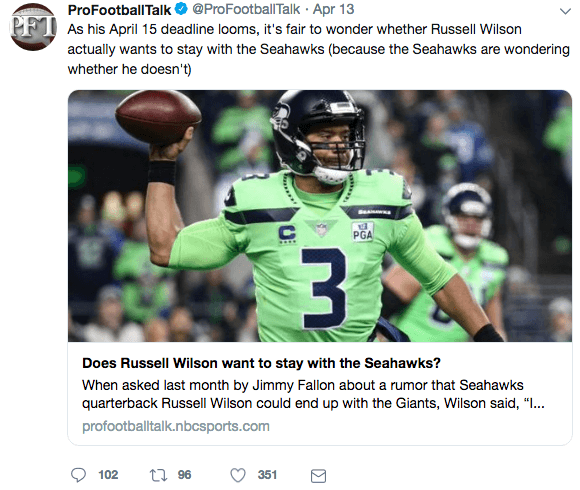 No word yet on if the Seahawks will cave in and grant Russell his wishes, but we hear Russell is dug in and will not show up to camp!